The spectrum of evidence imparted by the different clinical research designs ranges from ecological studies through observational epidemiological studies to randomized control trials (RCTs). 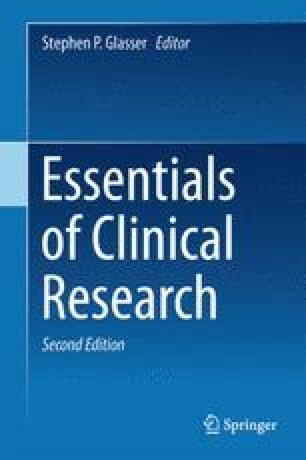 This chapter addresses the definition of clinical research, the major aspects of clinical trials e.g. ethics, randomization, masking, recruitment and retention of subjects enrolled in a clinical trial, patients/subjects lost to follow-up during the trial etc. Although this chapter focuses on the weaknesses of clinical trials, it is emphasized that the randomized, placebo-controlled, double blind clinical trial is the design that yields the greatest level of scientific evidence. Less than 50 % of this chapter is taken from “Clinical trial design issues: at least 10 things you should look for in clinical trials”  with permission of the publisher.